We tell about Faberge gold jewelry auctioned off by Christie’s. Starting from the 6th till the 14th of February 2018, Christie's auction house conducts a jewelry-themed online auction from the showcased Jewels collection. Every single year, the finest Carl Faberge jewelry collectibles comprise auction's lot range. Let’s remember the rarest golden jewelry, skillfully created by several generations of Faberge jewelers dynasty. Even during the times of Russian Empire, men’s cufflinks have undeniably been classified as a primary accessory item of every notable grandee. Faberge cufflinks, made by A.Tilleman in 1909, were decorated with gold enamel. 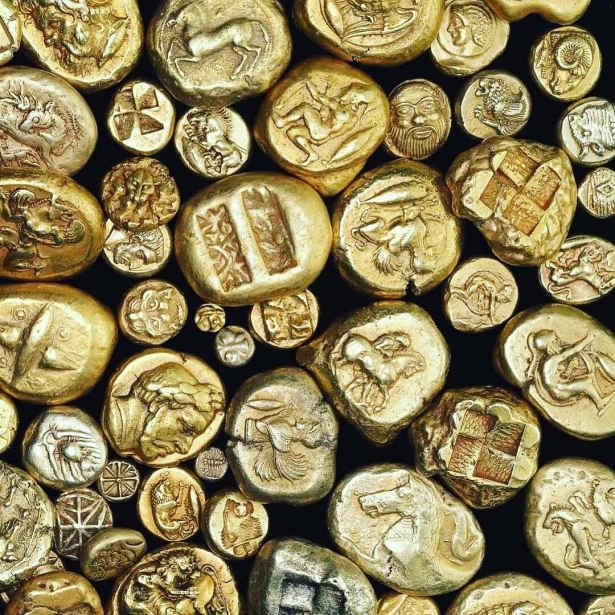 The estimate value of vintage gold cufflinks lies within the range of $13.9 to $20.9 thousand dollars. 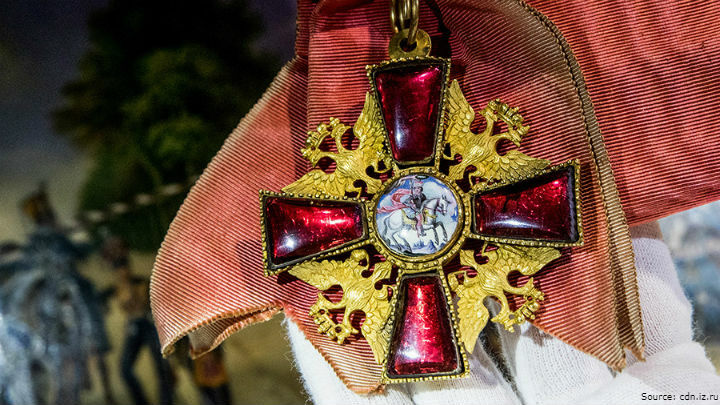 The order of St. Alexander Nevsky badge made of gold and silver by Faberge was a particular topic of interest among phalerists. 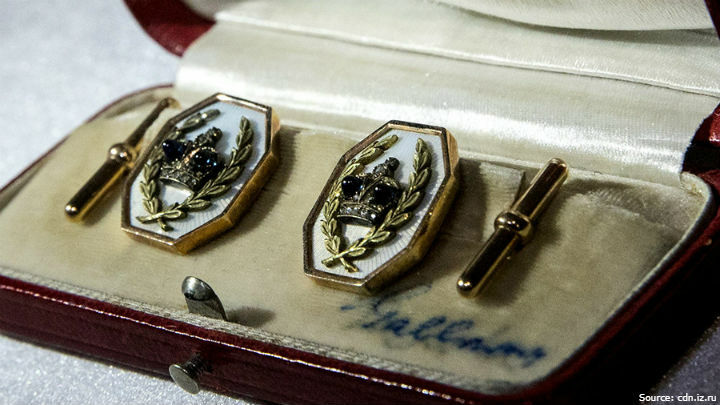 The order badge, which is over 200 years old now, has a particularly high antique value - $105.2-$157.8 thousand dollars. The Imperial cigarette case is made from two non-ferrous alloys of gold. The monogram marking of the Faberge’s jeweler (M. Perkhin) can be seen on the precious item, as well as the inscription made by Empress of Russia Maria Feodorovna herself, who gave it as a marriage anniversary gift to her husband Alexander III in 1890. 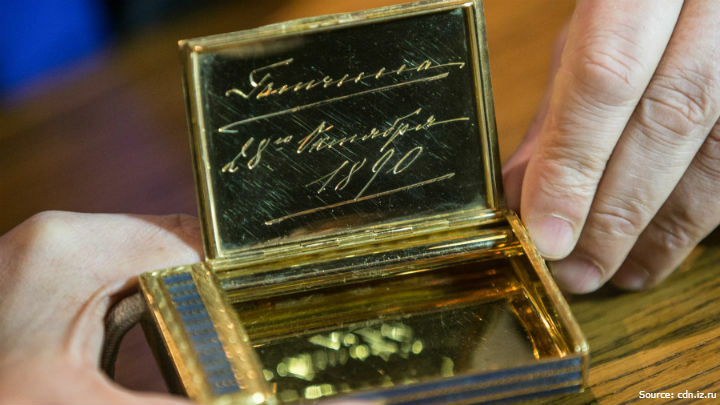 According to Christie's, the worth of Faberge cigarette case is $460.2 thousand dollars. 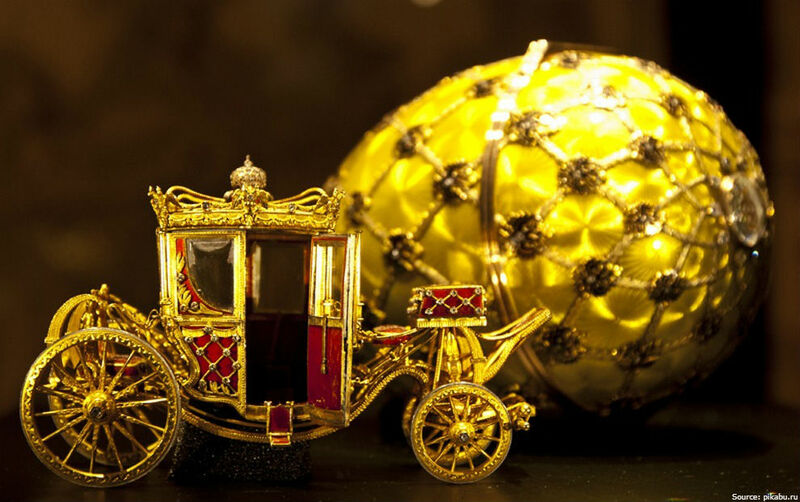 Miniature golden sedan chair of Faberge is up for auction once again. 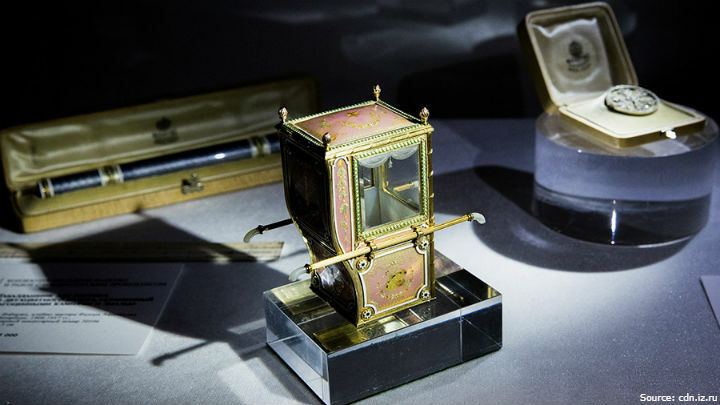 Previously, the sedan chair of Faberge was acquired by Maximilian Othmar Neuscheller, the owner of Russian-American rubber factory, for a record $2.280 million dollars. 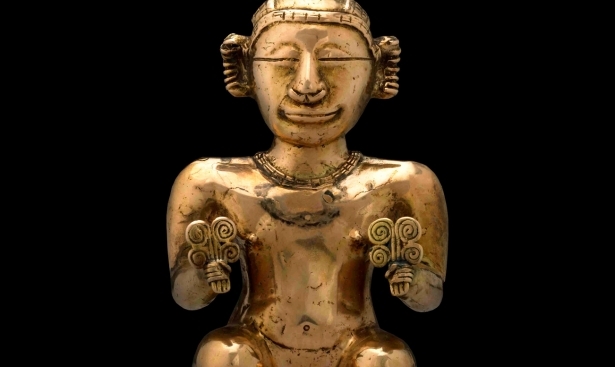 Christie's experts estimate the new-found golden relic's value from $920.5 to $1.3 million. 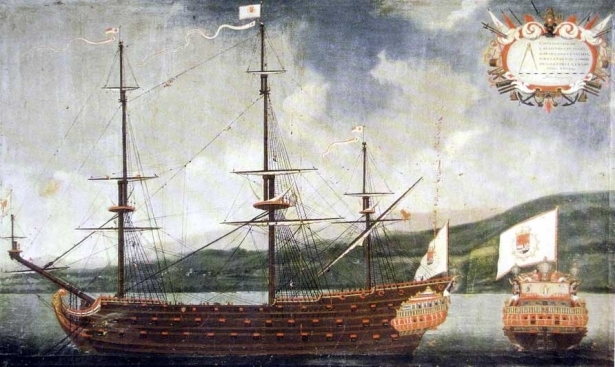 The new buyer and the final bidding price were not disclosed.